Here, I wrote a play book to distribute the configuration files to the cluster.You can access the playbook from my github account. When you try to use HDFS, it will tell you the service is in safe mode and whatever you do, seems like you cannot turn off the same mode. 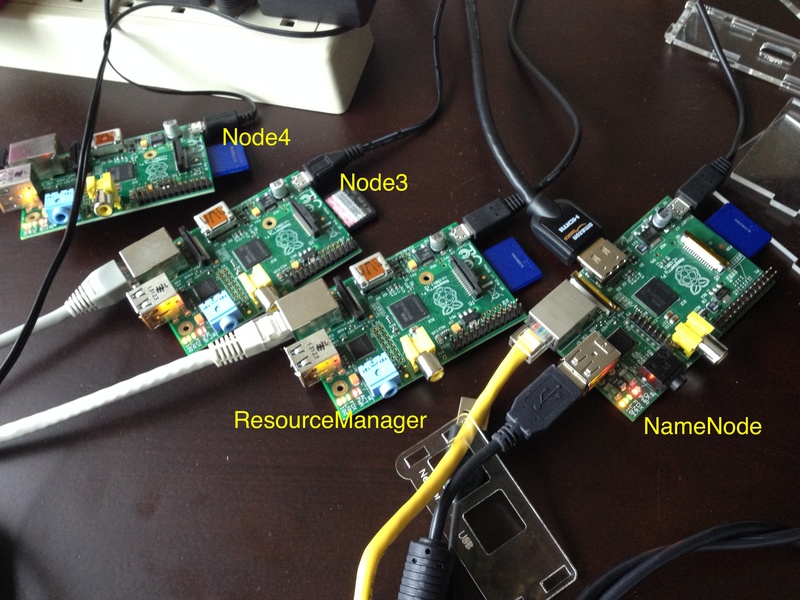 I did some google and people say it is due to the replication number, in my case, I have four nodes, 1 namenode, 1 used as resource manager and two other nodes used as slaves/nodemanager/datanode. 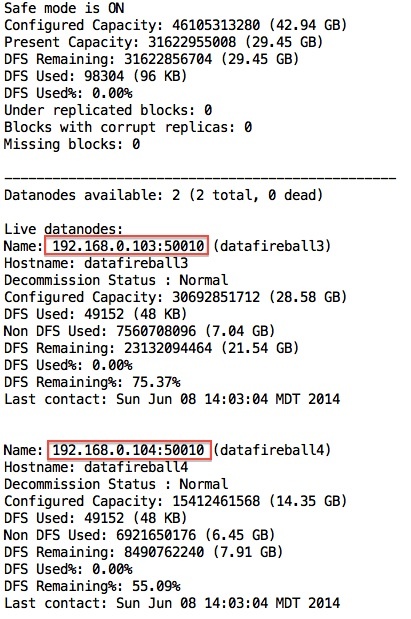 In which case, there will be at most 2 nodes to store data. However, the replication factor for HDFS is 3 out of box, which means the data will always be under replicated. 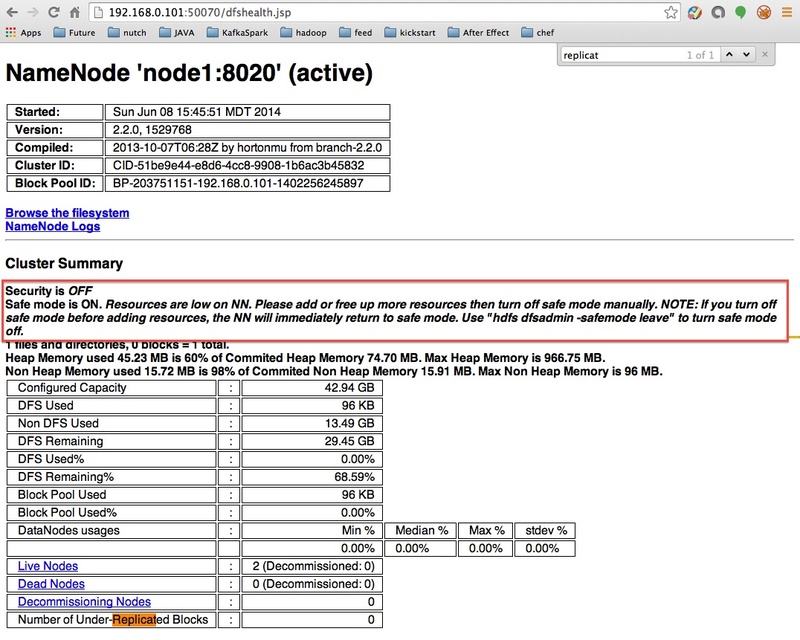 Also, the resource is extremely limited on a raspberry pi whose memory is only 512MB. Actually, when I was trying to change the configuration file of hadoop, so the big elephant will fit into the raspberry pi box. I noticed that the board that I was using as the name node is actually a board with 218MB. I remembered that I got this board when Pis first came out and I pre-ordered it for my friend Alex and myself. In this case, I need to switch the namenode probably with another data node so the namenode will have enough resource to get hell out of the safe mode. I can run a virtual machine in my laptop just to act as the namenode to drive the other PIs. I don’t know if I can read the img file from the current SD card and create a virtual machine on my box.